Long-term metastatic control is an important goal for patients with high-risk renal cell carcinoma (RCC) after nephrectomy. In recent years, adjuvant therapy with tyrosine kinase inhibitors (TKIs) has entered the picture to potentially fill this unmet need. The FDA found the evidence in 1 trial so convincing that it approved sunitinib malate (Sutent) for these patients in November 2017. But recent early studies in this population have provided conflicting results, and the European Medicine Agency’s Committee for Medicinal Products for Human Use decided to go in the opposite direction of the FDA. It recommended against expanding sunitinib’s use to treat this patient population. Meanwhile, sharp dispute has arisen among US oncologists over whether TKIs are appropriate for these patients at this time. 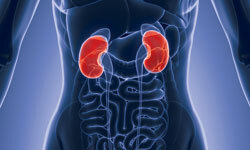 A pair of Emory University physicians with opposing views on the issue discussed findings for adjuvant TKI therapy after surgery in high-risk RCC during the 2018 Debates and Didactics in Hematology and Oncology conference, held in Sea Island, Georgia. Viraj Master, MD, PhD, argued in favor of adjuvant TKI use. He is a professor, the associate chair for clinical affairs and quality, and the director of the Clinical Research Unit in Emory University’s Department of Urology. In his talk, Master pointed to evidence supporting a disease-free survival (DFS) advantage in patients who receive adjuvant TKIs. He also noted that patients are less concerned about toxicity than survival and are “highly interested in adjuvant therapy.” Also, he added, patients do not differentiate between DFS and overall survival (OS). Mehmet Asim Bilen, MD, argued against the use of TKIs at this point. Bilen is an assistant professor with the Department of Hematology and Medical Oncology in the School of Medicine and the associate medical director of the Phase I Unit at Winship Cancer Institute of Emory University. Bilen noted that the drugs are not cheap, are “definitely” not easy to tolerate, and have not shown a benefit in OS in this population. “I’m not convinced that patients are getting a benefit, but I’m pretty sure they’re getting significant [adverse] effects,” he said in an interview with Targeted Therapies in Oncology. Assure Trial: Relevant or Not? Both speakers discussed the phase III ASSURE/ ECOG-ACRIN E2805 trial, although they took different lessons from its findings.1 The trial tracked 1943 patients with resected nonmetastatic RCC at a high risk for recurrence who were treated with adjuvant sunitinib, sorafenib (Nexavar), or placebo for 1 year. Master identified weaknesses in the trial beyond the lack of patients with high-risk cancer and ccRCC: He said the study had an “extremely high” attrition rate of 44% and many of the patients were inadequately dosed. However, Master was not entirely dismissive. He also noted that the study’s findings suggested positive treatment effects on DFS with sorafenib in 3 subgroups: patients at pathologic stage T3 or T4, those with American Joint Committee on Cancer stage III/IV disease, and patients who started treatment at the full dose. Bilen noted the S-TRAC study in his presentation but pointed out that it included only pT3-4 patients with positive lymph nodes. The treatment group in the S-TRAC study received 50 mg of sunitinib daily for 1 year on a 4-weeks-on, 2-weeks-off schedule, and Bilen pointed to the expense of this treatment. He also pointed to the expense of TKI drugs. According to goodrx.com, the retail price for 28 capsules of sunitinib 50 mg is around $17,300.6 Medicare covers sunitinib, and co-pays can range from $4,900 to $19,600. Both physicians took different lessons from the PROTECT trial. This study examined patients with locally advanced RCC following surgery who were treated with pazopanib (Votrient) or placebo.7 Patients in the treatment arm initially received 800 mg of pazopanib, which was lowered to 600 mg due to adverse effects (AEs). Bilen noted no difference in DFS or OS in the primary analysis of the 600-mg intention-to-treat (ITT) group compared with placebo. He also noted high levels of grade 3/4 AEs in the 600-mg pazopanib group compared with the placebo group (60% vs 21%). For his part, Master focused on a 31% reduction in the risk of recurrence with pazopanib in an analysis of the 800-mg ITT group. Other Evidence: What Does It Reveal? “Vascular endothelial growth factor receptor-targeted therapy after nephrectomy for localized kidney cancer is not associated with consistent improvements in delaying cancer recurrence or prolonging life, and comes at the expense of potentially significant side effects,” the analysis notes. Master said extended survival data are expected from the S-TRAC trial, and further insight is still to come regarding the use of tools such as highest grade/stage, 16-gene Recurrence Score, and other biomarkers to identify patients who would benefit most from adjuvant TKIs. Haas NB, Manola J, Uzzo RG, et al. Adjuvant sunitinib or sorafenib for high-risk, non-metastatic renal- cell carcinoma (ECOG-ACRIN E2805): a double-blind, placebo-con- trolled, randomised, phase 3 trial. Lancet. 2016;387(10032):2008-2016. doi: 10.1016/ S0140-6736(16)00559-6. Haas NB, Manola J, Dutcher JP, et al. Adjuvant treatment for high-risk clear cell renal cancer: updated results of a high-risk subset of the ASSURE randomized trial. JAMA Oncol. 2017;3(9):1249-1252. doi: 10.1001/jamaoncol.2017.0076. 3. FDA Center for Drug Evaluation and Research. Summary minutes of Oncologic Drugs Advisory Committee meeting. FDA website. www.fda.gov/downloads/AdvisoryCommittees/CommitteesMeetingMaterials/Drugs/OncologicDrugsAdvisoryCommittee/ UCM580666.pdf. Published October 15, 2017. Accessed August 29, 2018. Ravaud A, Motzer RJ, Pandha HS, et al; S-TRAC Investigators. Adjuvant sunitinib in high-risk renal-cell carcinoma after nephrectomy. N Engl J Med. 2016;375(23):2246- 2254. doi: 10.1056/NEJMoa1611406. Escudier BJ, Rini BI, Martini J-F, et al. Phase III trial of adjuvant sunitinib in patients with high-risk renal cell carcinoma (RCC): validation of the 16-gene Recurrence Score in stage III patients. J Clin Oncol. 2017;35(suppl; abstr 4508). meetinglibrary.asco.org/ record/144686/abstract. Sutent. GoodRx website. www.goodrx.com/sutent?form=capsule&dosage=50mg&quan- tity=28&days_supply=&label_override=Sutent. Accessed August 29, 2018. Motzer RJ, Haas NB, Donskov F, et al. Randomized phase III trial of adjuvant pazopanib versus placebo after nephrectomy in patients with locally advanced renal cell carcinoma (RCC) (PROTECT). J Clin Oncol. 2017;35(suppl; abstr 4507). meetinglibrary.asco.org/ record/144687/abstract. Pfizer Provides Update on Phase 3 Trial of Axitinib as Adjuvant Treatment for Patients at High Risk of Renal Cell Carcinoma Recurrence After Surgery [press release]. New York, NY; Pfizer Inc; April 10, 2018. press.pfizer.com/press-release/pfizer-provides-update-phase-3- trial-axitinib-adjuvant-treatment-patients-high-risk-re. Accessed August 29, 2018. Battle D, Jonasch E, Hammers H, et al. Patients perspectives on adjuvant therapy in renal cell carcinoma. J Clin Oncol. 2018;36(suppl 6; abstr 644). meetinglibrary.asco.org/ record/156950/abstract.